Enough of my sartorial rant, (I have ADD moments when it comes to blogging) after attempting to hop on the 14 st. subway to the Metropolitan, I promenaded past a clandestine, understated street. The elusive evergreen vines plastered on the buttercream walls and the infamous cobblestone streetway (death to any footwear bearing higher than an inch) made me sigh in bliss. All you bloggers can definitely relate to this drool-worthy moment of unearthing a haven of blog-worthy pics! Mauve doors complimenting muted slate grey windows and a hodgepodge of fire truck-red brick walls are just a small glimpse of this Italy-esque street. Despite the frigid and sudden drops of temperature and the sinister slip-inducing streets that required tiptoeing, it was absolutely breathtaking. This misfit of a street in the midst of New York’s rancid streets that are typically peppered with black trash bags was a much needed, refreshing escape. Want to hear my face-palm inducing moment of the day? After minutes of internal debating which pastry to invest a meal swipe with (marble or pumpkin cupcake) I burrowed through all my pockets to end up empty-handed. I lost my ID and my keys! After retracing my steps and abandoning any chances of grabbing a soy latte in this Antarctic weather, I panicked and asked for a spare key (it was going to be $120 for replacements!) THANKFULLY, I found them in my other pocket of my satchel. Brownie points for Kelly for being an inattentive dummie! I definitely dodged the bullet of having to scrap up the rest of my (shopping) money. Now, back to my bed-ridden day of Netflix overdose and overwhelming nausea. Thanks again, weather ! so many clashing textures and patterns but it really works ! I love how this outfit is played out. That dress is really making me want spring! Gave an idea to an outfit! Thank you for this beautiful impression! 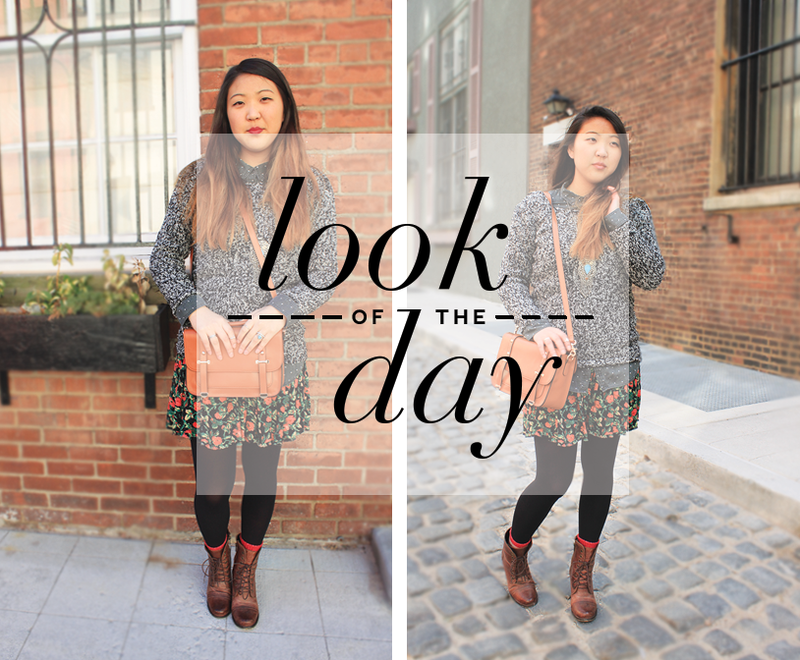 You look absolutely photogenic in all of these photos and this outfit looks great on you! Love the color combination and all of your accessories :) You look absolutely lovely. Love that skirt and sweater! The skirt & sweater combo is awesome! :) I'm a new follower to your blog, I would love it if you'd check mine out? I love your skirt and handbag. 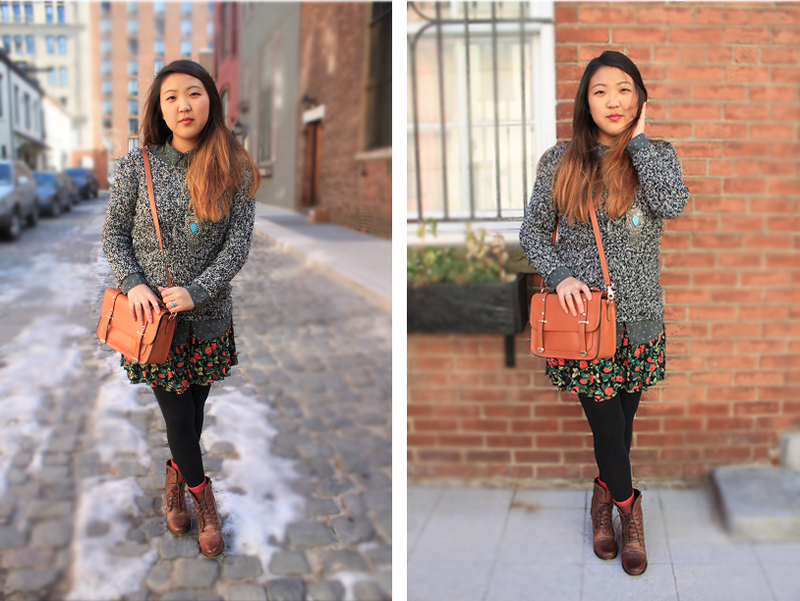 Loving your fun mix of textures and prints! The same could have happened to me aswell. girl your post is so adorable<3 not only your photos are cute, even your writing haha! well I'm glad you ended up finding your ID and key cuz that'd have been horrible! your outfit is so on point and you're gorge [; looking forward to seeing more from ya! if you're interested, let's follow each other! let me know! amazing look, I follow you on gfc, follow back? Hey Beauty! What a lovely look! Just in love with the look. Thanks for your comment. I am following you now! Waiting for you to do the same, please. I love your outfit! 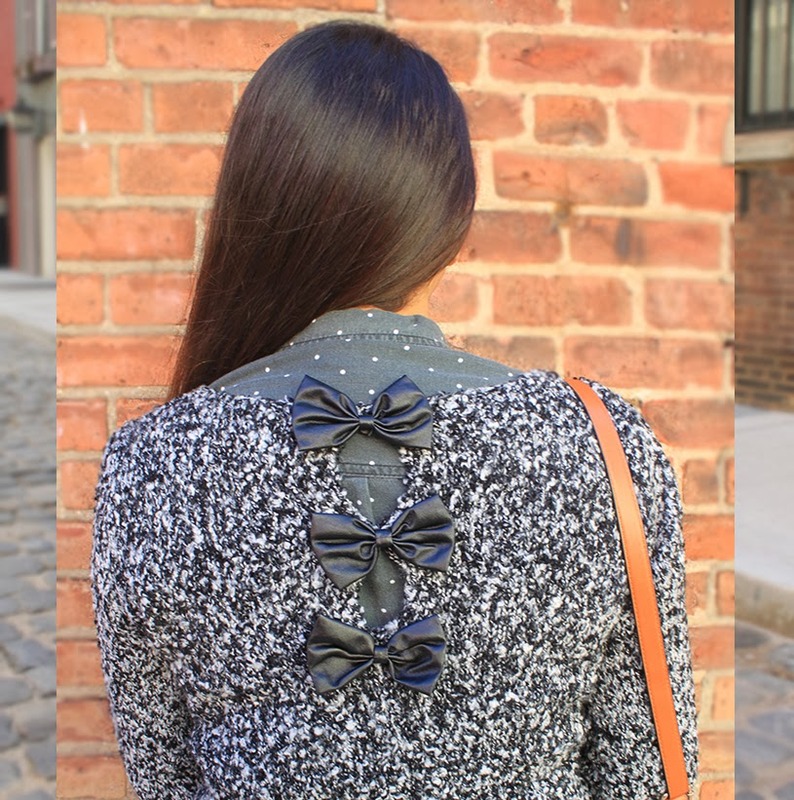 The bows in the back of the sweater look so cute, discrete but bold at the same time! I also love the skirt and your boots are gorgeous! Oh, and your hair is so nice and pretty! followed you on GFC and blolovin'! hope you'll do the same soon! Hi sweet girl! Thank you for your lovely comment on my blog mariasbeautifulworld.blogspot.gr. Sure would love to follow each other. Follow me and I will follow back immediately when I see it! By the way you have great style! Lots of kisses! Hi again! I just followed you back! Kisses! I also love the necklace that match with one of your rings. hehe that's so cool. sure! i'd love to follow each other! Oh my god, these bows on the sweater are adorable! Love your style and blog! Following you on GFC now, but we can also connect on Facebook, Bloglovin and Twitter if you'd like! Gorgeous! 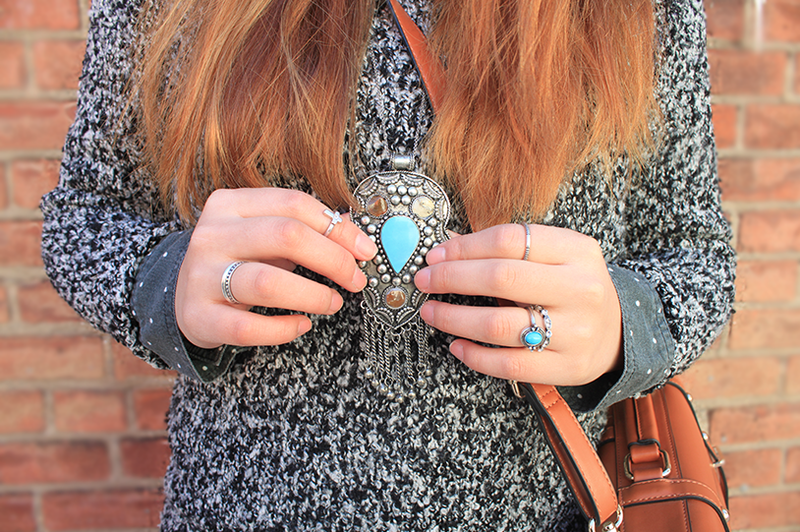 We love your necklace, shirt, sweater... Everything! omg your outfit is gorgeous! I'm following you now, thanks for commenting on my blog! Gorgeous! I love this outfit so much!!! I'm a sucker for floral. Wow ! What a great blog up in here, Would you like to follow each other, my Dear ? I ADORE your blog's style/layout. And of course your outfits! There's nothing like good layering for NY's temperatures. Thank you for visiting my site. Of course we can follow each other! 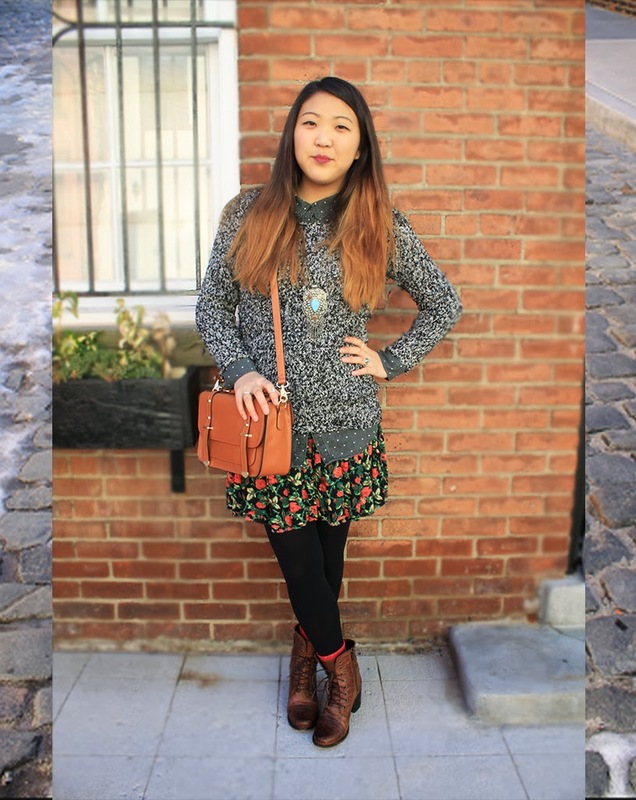 I love how you mixed textures and prints here! Really cute bag too. Following you on bloglovin'. Looking forward to seeing more! This pictures are really amazing darling!!! Loved it !!! Sure dear, let's follow each other. I followed yours! Hope you follow me back. You look very chic! Love your boots. Hi lovely! Thanks for stopping by my blog and introducing me to yours! Adore your fashion and yes, would love to follow each other. Following you now and hope you stop back again soon. if you want we can also follow each other on other socials! hope we'll keep in touch! 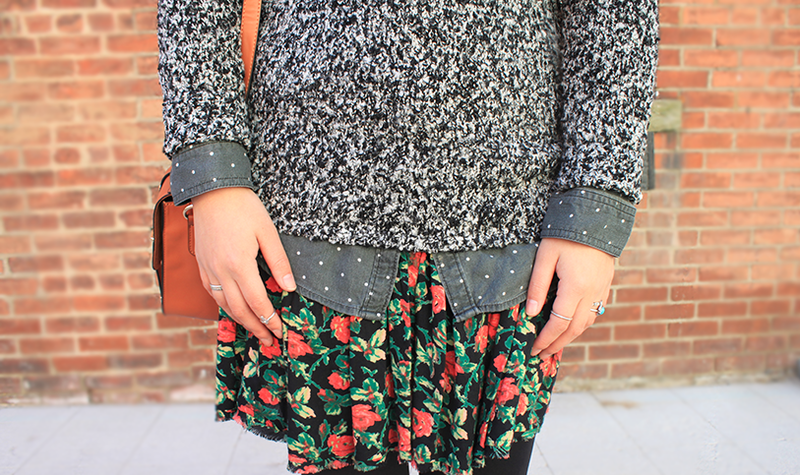 Love this cozy look with floral detail! A great way to usher in Spring! You really have an eye for layering dear! Lovely look. I would be more than happy to see you on my list as well! Wow you look so beautiful!! 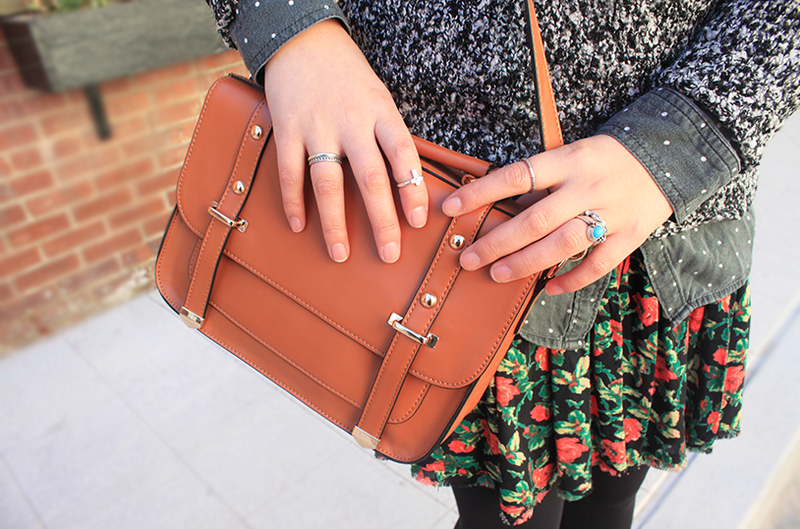 Would you like to follow eachohter on bloglovin ? the other thing is :) I hope you don't mind following back there? obsessed with all of the pieces in this look! the little bows on the back of the sweater are super adorable. i love your style! i'm a new follower. So lovely! I especially love the purse! Btw, great blog, keep up the good work! Such a cute romantic look! Love the print of the skirt and the accessories. Great outfit! I love your sweater! You look DARLING! Love the pattern/texture mixing! I really like ur outfit dear! I would love to follow each other!! im following you now via bloglovin' and gfc! oh that's great you found your ID at least lol.I know how it feels to lose them or get them stolen!! Wow you mixed too many clothes and prints but it looks good on you,I don't know how I would look like this but you managed to look cool girl! love your boots! You look lovely dear! And your sweater is amazing! I am following you on Bloglovin, hope you follow back! This outfit is beautiful :) I love your sweater! 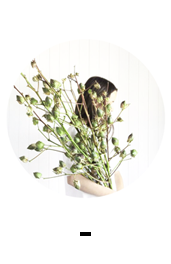 Would you like to follow each other on Bloglovin maybe? 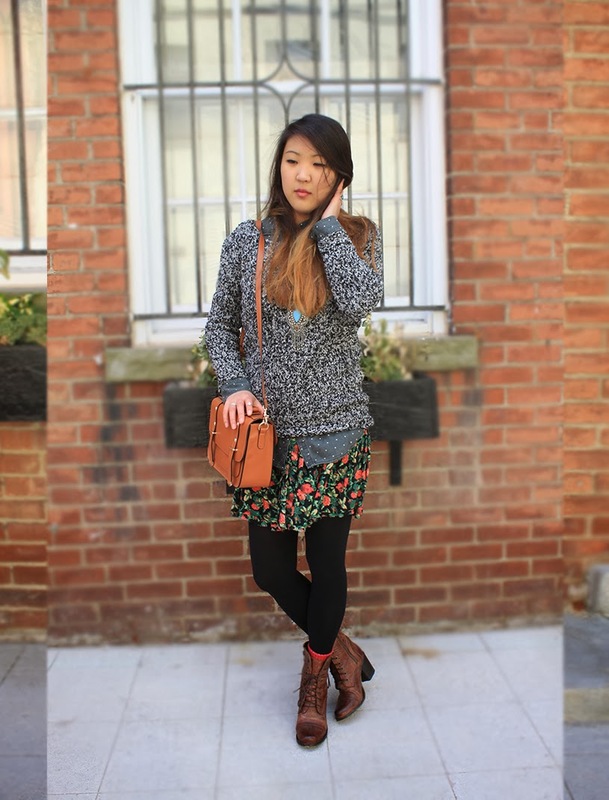 Such great style you have, love all of your floral prints!